In this article we will discuss drills that are designed to work with ceramics, brick and stone. Let us examine the peculiarities of working with these materials, modes of operation and basic differences between these drills. Ceramics, itself, Moody stuff. Mainly used for machining diamond drills. The diamond drill can be made three different ways. Now we will look at these methods. this Drill is usually made from solid steel, respectively. Namely, VK8, in other words, use «win». 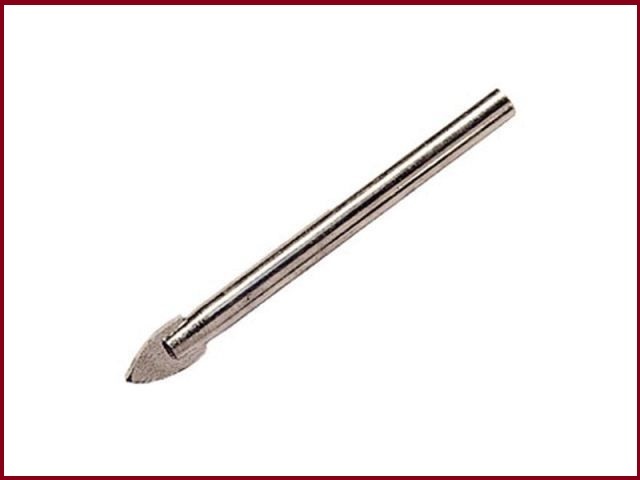 This drill should also have the shank for hammer drill, shank shape should be cylindrical. As has become clear, for drilling use a drill with the impact feature. Drill can be sized from 4 to 12 millimeters. Can have a maximum length of 400 millimeters. Larger diameter drill, the drill is not capable, as it has a mild kick. The value of the different drill bit, from 50 rubles and above. so for drilling stone, you can use drill bits with diamond coated. The cost for this drill will be different – will play the role of the thickness and lifetime of the drill. If you need to drill only a couple holes, the drill can be used anytime. But if, after all, planned continuous use of drills, it is better to buy the tool to the crown, where the entire cutting edge is molded into the diamond. attaches the crown may be different. Typically use a drill or a grinder. First. Diamond drill involves drilling at low speeds when drilling holes in stone. This is usually from 700 to 1000 rpm./min. 24 mm – 700 rpm. the Second. When drilling in stone, you need to use water. This is necessary to prevent overheating of the tool cutting edge. This, incidentally, will serve to extend the service life of the drill. Third. If you don’t have enough experience with the stone, it is recommended that before you start drilling holes in stone, work out any pruning. Fourth. is Not necessary during drilling much pressure on the crown. Core bits with diamond coating are very sensitive to heat and pressure. As we have seen, for drilling these materials are put forward special requirements, using special drill bits. And so, working with these materials, must comply with the rules of processing of the material.